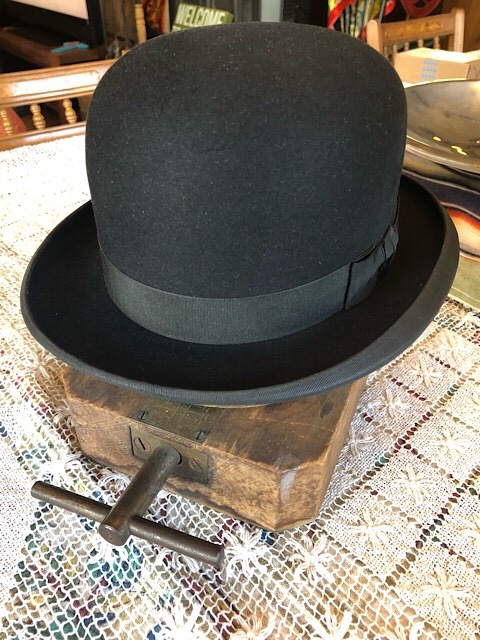 Discussion in 'Hats' started by BobHufford, Dec 6, 2018. 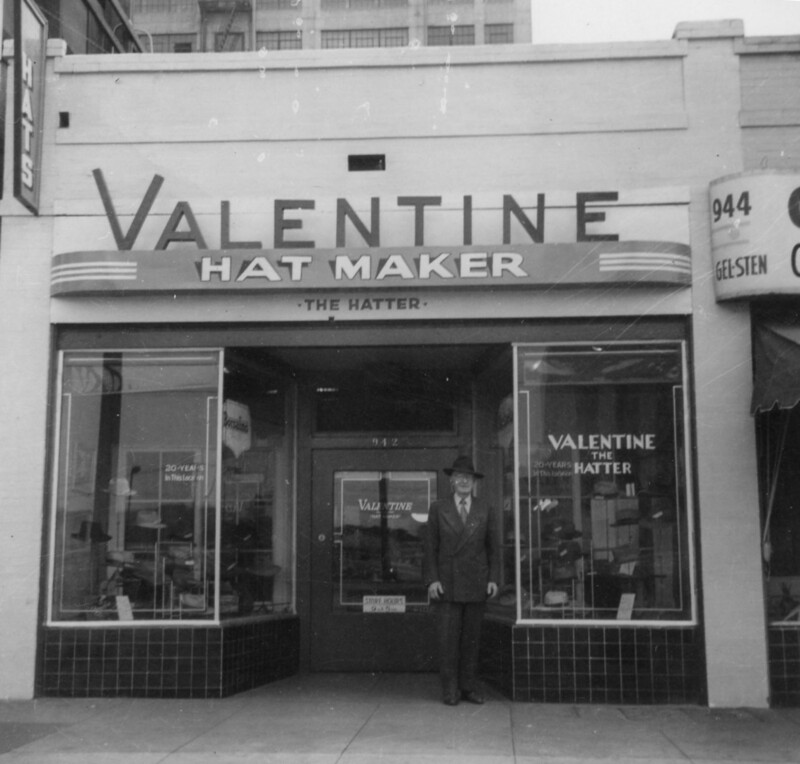 If you have pics of the original store that your hat came from, then share them here. DOGMAN, Tukwila, 1967Cougar390 and 12 others like this. DOGMAN, Tukwila, 1967Cougar390 and 11 others like this. DOGMAN, Tukwila, Joao Encarnado and 11 others like this. 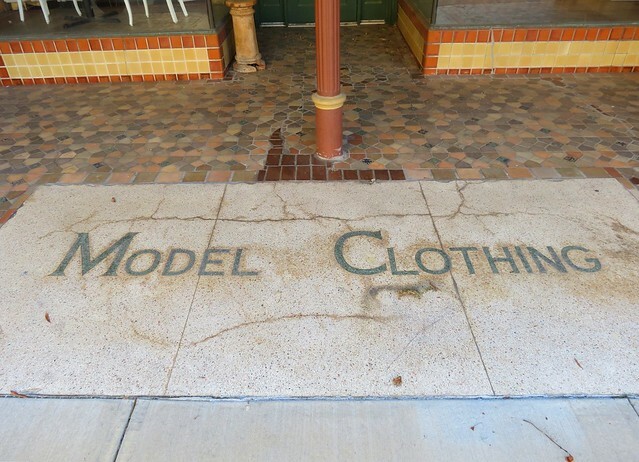 Thanks to @Redfokker (Mike) for the Scoop's storefront image. Best I could do was finding the store's sign hidden behind a café sign (on the right). DOGMAN, Tukwila, hatsRme and 9 others like this. DOGMAN, Tukwila, hatsRme and 7 others like this. Great idea for a thread, Bob. I think I only have a couple of examples. I'll need to dig around. Redfokker and BobHufford like this. DOGMAN, 1967Cougar390, hatsRme and 8 others like this. 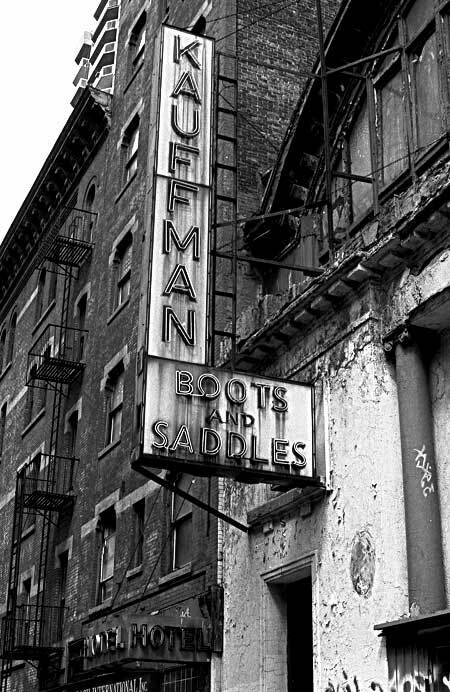 H. Kauffman was a longstanding saddlery in NYC, originally opening in 1875. 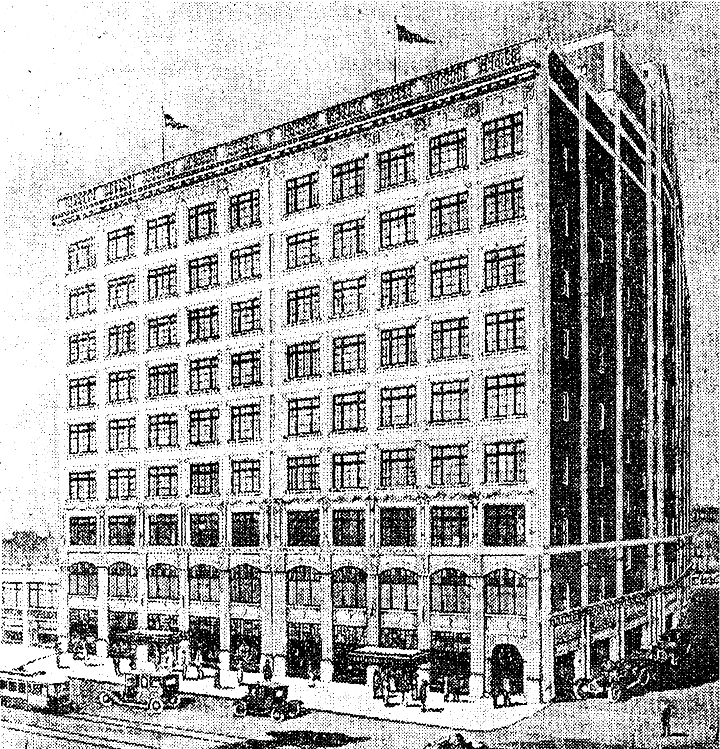 The Times has a 1975 article with some more background on the shop as it celebrated its centennial. DOGMAN, 1967Cougar390, TheOldFashioned and 10 others like this. 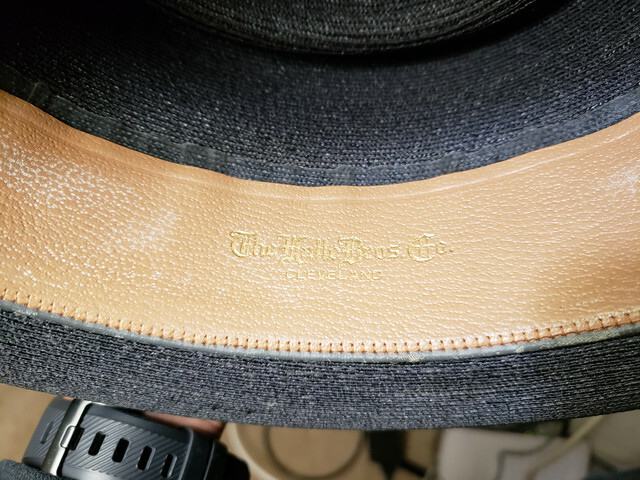 This one is maybe a bit of a cheat, because Halle Bros. had more than one location and the hat doesn't have a specific address. 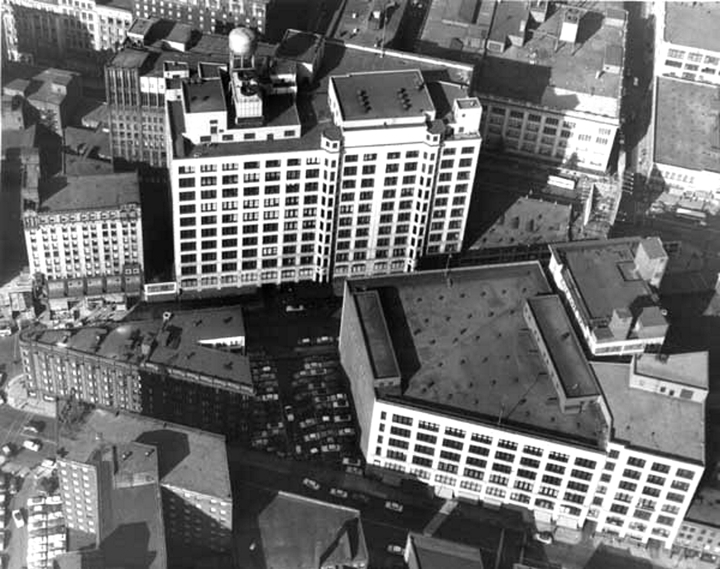 But both the original Halle building and the Halle Shaker Square building are on the National Register of historic places. Actress Halle Berry (born Maria Halle Berry) was named after the store. 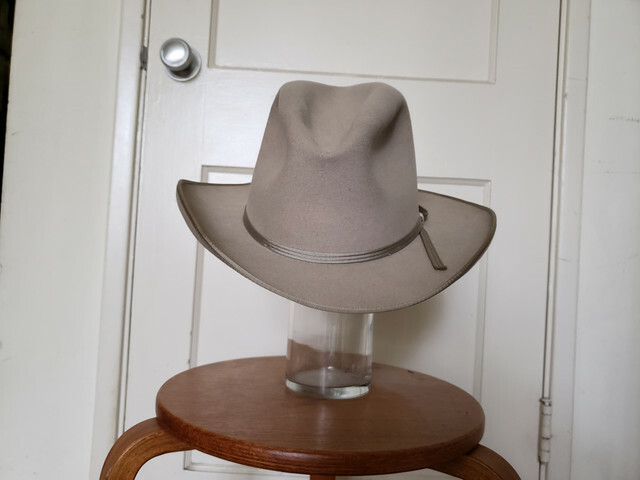 Hat is a cool indigo blue Milan from the Ecuadorian Panama Hat Company of New York under the Supernatural label. 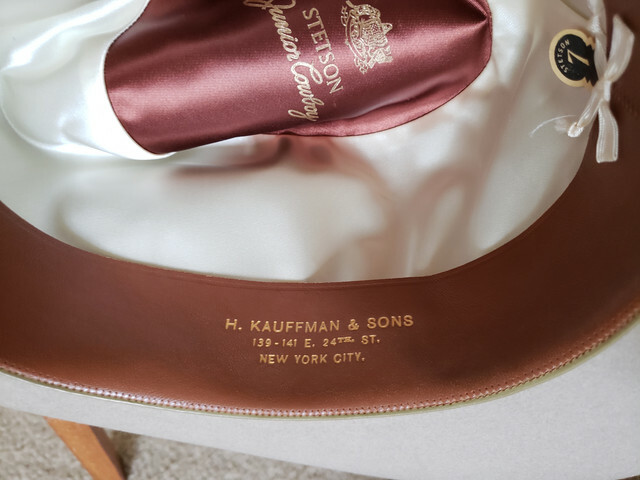 There are a few other examples from this manufacturer around the lounge. I do like the band on this one...pretty sure it's taking a cue from Frank. DOGMAN, hatsRme, deadlyhandsome and 6 others like this. 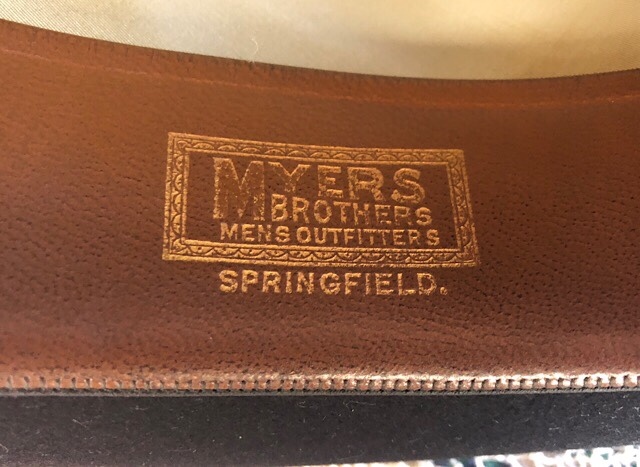 1930s Stetson Standard Quality Feather Weight from Springfield, Illinois. DOGMAN, hatsRme, deadlyhandsome and 7 others like this. 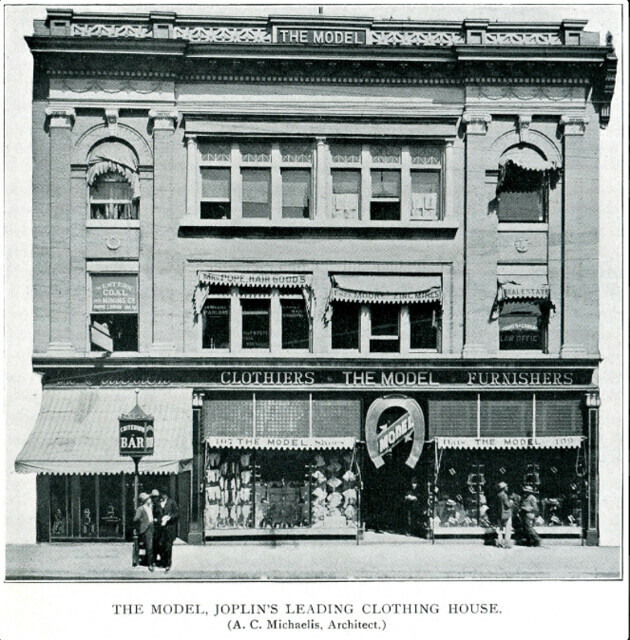 Small The Men's Furnisher (the clothier) in Belle Fourche, SD. DOGMAN, Joao Encarnado, TheOldFashioned and 10 others like this. 1950s Dobbs Rainbow from Nampa, Idaho. 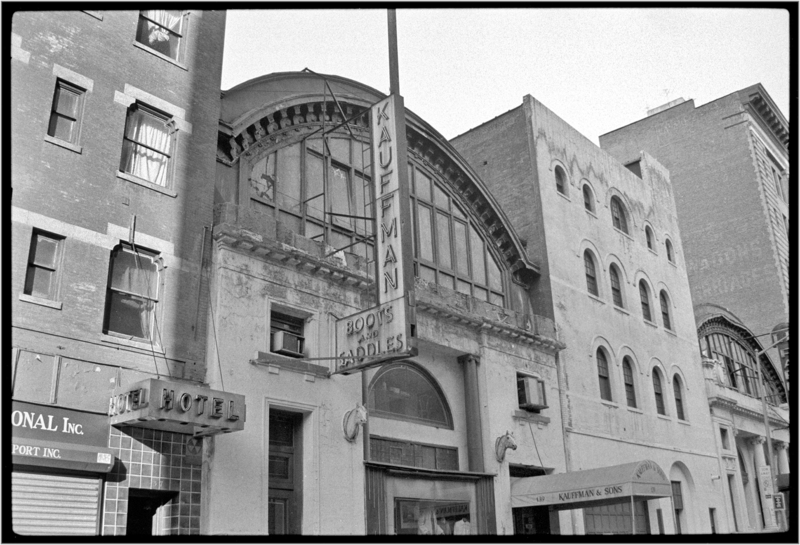 The store was around from 1946 until 2015. DOGMAN, alanfgag, hatsRme and 6 others like this. 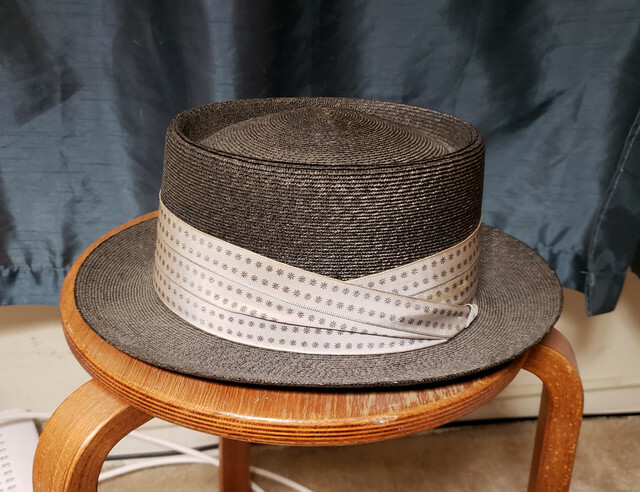 Astor Hats from Boise, Idaho. 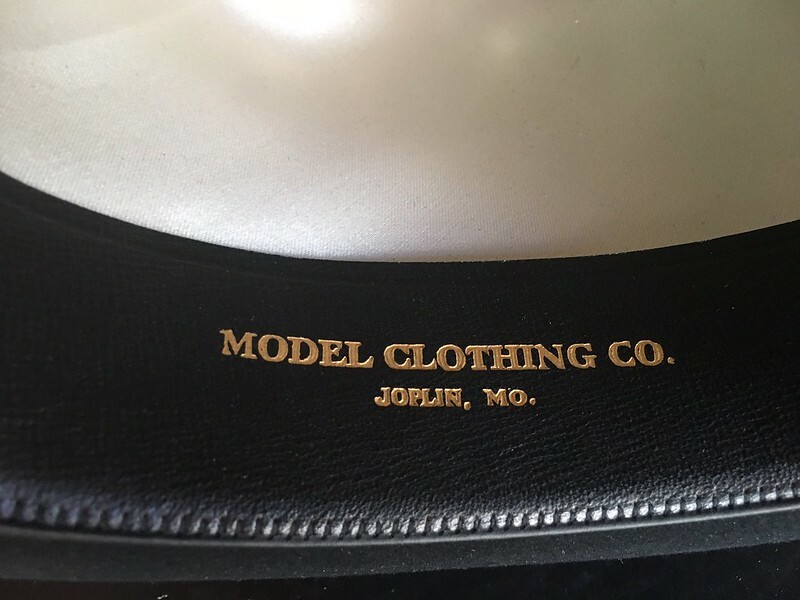 1920's Stetson Boss Raw Edge from Auerbach & Guettel Palace Clothing Co, Topeka, Ks. Members of the Auerbach family were influential in early Kansas state politics. On the National Historic Registry today. 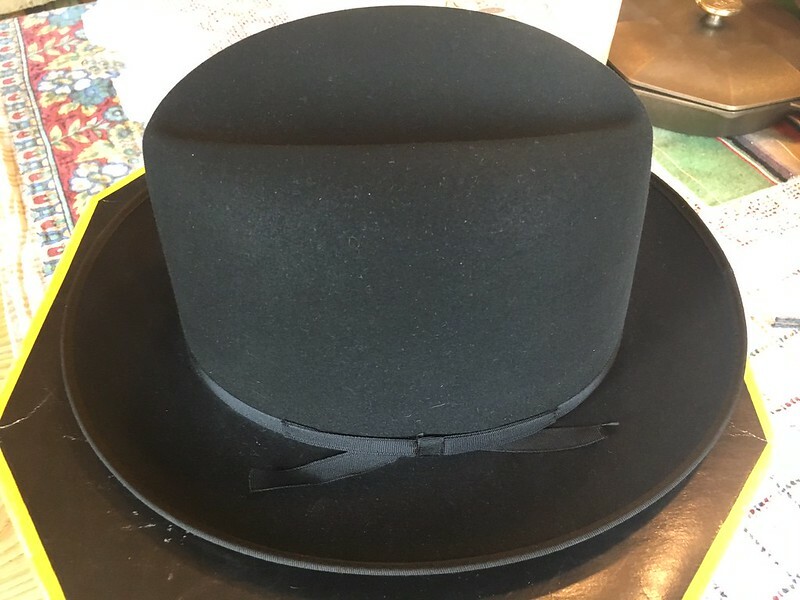 alanfgag, TheOldFashioned, hatsRme and 5 others like this. 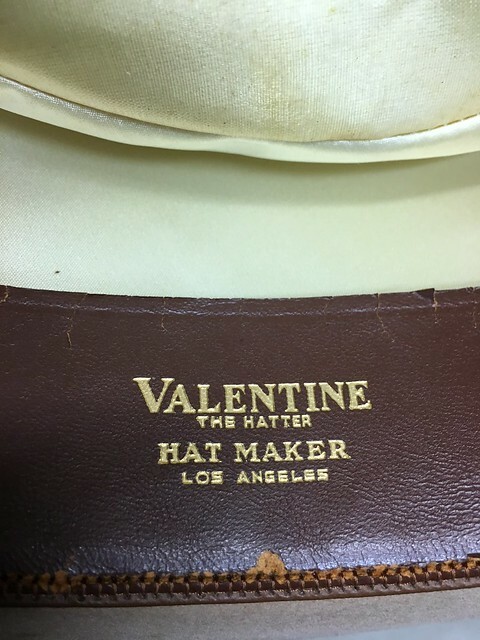 Many hats around from Milwaukee's Pantke Harpke store. hatsRme and BobHufford like this. 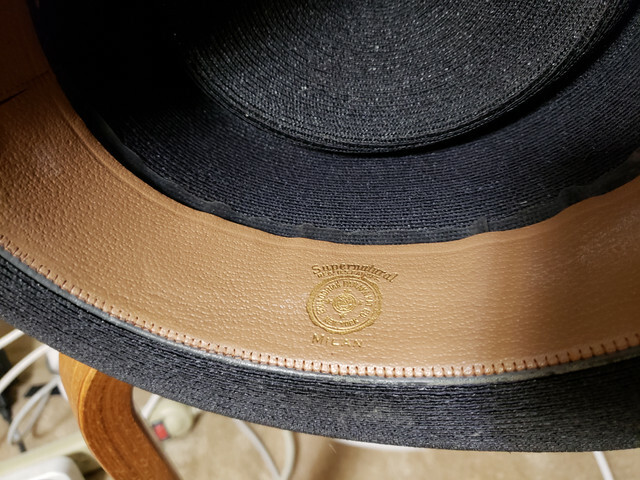 Stetson Royal Deluxe St. Regis Homburg originally sold by Derge - Bodenhausen Clothing Co, St. Joseph, MO in business from ~1908 - 1941.
alanfgag, hatsRme, jlee562 and 2 others like this. 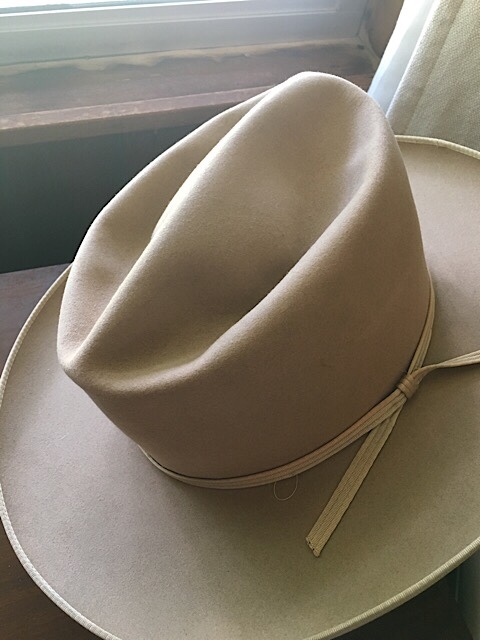 Circa 1929 Stetson "Tropic Weight". 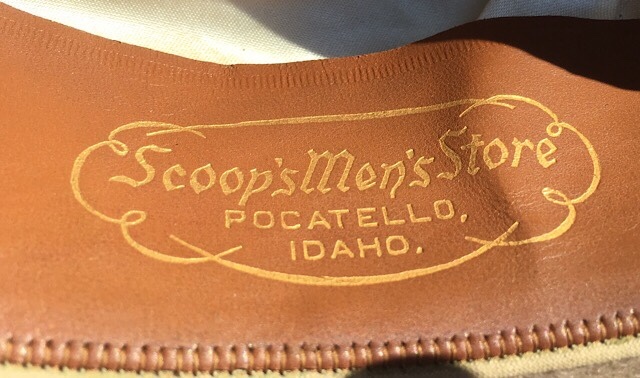 I think this store may have been in the same location as Nafziger (above) in Nampa, Idaho. There was a grocery store with the same name located there at some point. alanfgag, hatsRme, jlee562 and 1 other person like this. +1 I'll have to get my research in the mix.